Sri Lanka is a hotspot for tourist attractions and Lotus Villa is in the proximity to many of them. We have carefully picked up a few of them to take you away from the hectic and stressful life. These half-day excursions extend the opportunity to explore a new culture and the South Asian lifestyle. Kande Viharaya or else “Mountain temple” is considered as one of the biggest Buddhist temples on the southern coast of Sri Lanka. 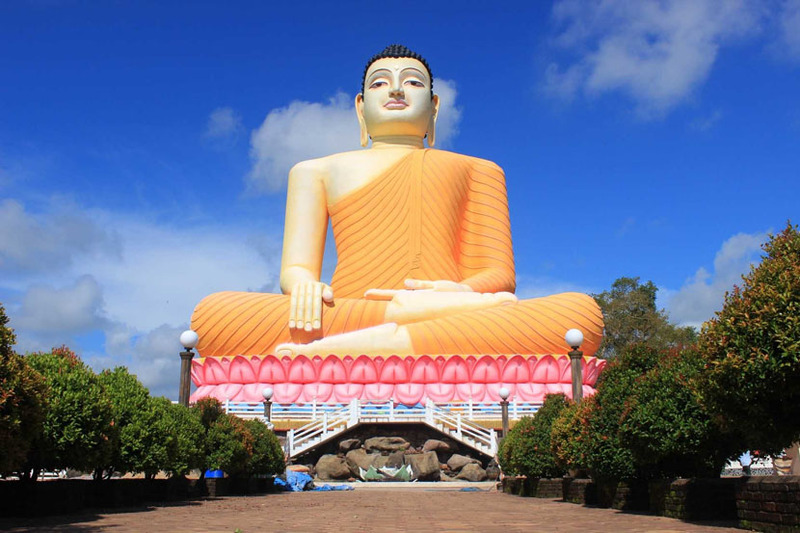 Since it was built on the crest of a hill near to Aluthgama town and has earned the fame as “mountain temple”. The significant feature of this temple is the gigantic Samadhi Buddha statue with the height of 48 meters and believed as world’s highest seated Buddha statue. In addition, Kande vihara has enriched with the Stupa, Bo Tree, Relic Chamber, Image House, Sri Vishnu shrine and the four Great shrines devoted for God Ganesh and others. All these features are fine examples of the unique architecture in Sri Lanka which was influenced by the essence of Buddhism. Ground market, fair or “pola” in Sinhala is a common aspect in the Sri Lankan rural community. Sri Lanka is a developing country and nearly 80% of the population live in rural or semi-urbanized areas. Therefore, the ground market plays a key role in the local community. It is a retail market where local producers and consumers are meeting each other. Generally, perishable items like fruits, vegetables, fish, herbals, spices, sweet items, and different household items are sold at the fair for a cheaper price. This will be an unforgettable experience for you to explore and understand the lifestyle and the economy of rural Sri Lankan community. Galle Fort or the “Dutch Fort” is one of the major tourist attraction on the southern coast. UNESCO has recognized Galle Fort as a world heritage site due to its unique archaeological, architectural and historical value. Portuguese had identified this land mass in 1505 and developed the initial fortification. Later on, Dutch took over the Galle fort and continued the improvement of the fortification and rebuilt it as their main base in the early 18th century. The main aspects of Galle Fort were Protestant church, the Commander’s residence, a gun house and arsenal, public administration buildings, residential quarters, warehouses, business structures, buildings for trade and defense such as smithy, carpenters’ workshop, rope maker’s workshop and etc. 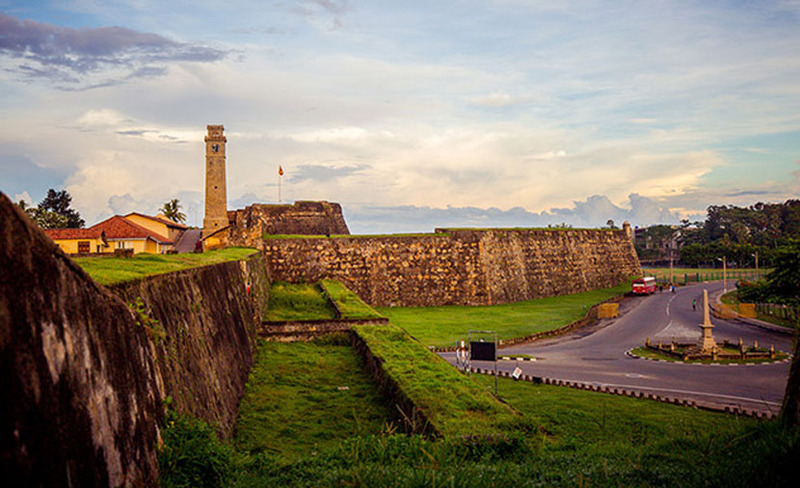 Over the centuries, Galle Fort has been subjected plethora of changes while holding its glory and history. This is an icon to demonstrate the fusion of European architecture into South Asian tradition in one structure. Currently, these historical ruins and monuments have been converted to boutique hotels and pretty little shops and some of the government offices. Either you’re are interested in archeology or in relaxation, Galle Fort offers you the best of it. 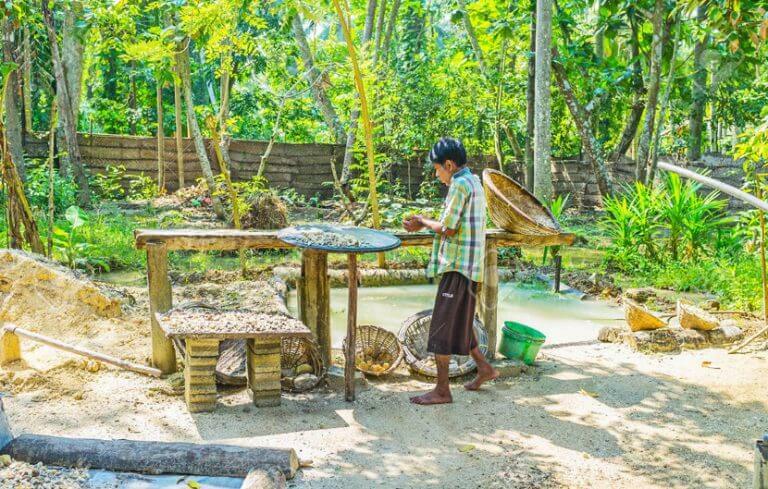 Meetiyagoda is few kilometers away from Lotus Villa where world’s best moonstones can be founded. Moonstone is considered as one of the valuable variety of feldspar. They can be found in various colours like whitish blue, yellow, orange, grey, reddish or even colorless. But the blue variety always fetch a higher price due to its rarity. Greeks believed that theses stones have the ability to accumulate ethereal light of the moon in solid form and known them as “moonstone”. The moonstone mines in Meetiyagoda is considered as the world’s primary source of blue moonstones. It will be a great experience during your stay to see the manual process of moonstone mining. They are often found as pebbles or irregular mass in gem gravels or clay deposits. This offers you the opportunity to see how the hidden moonstones under the earth becomes fascinating jewelry from a small village on south coast of Sri Lanka. 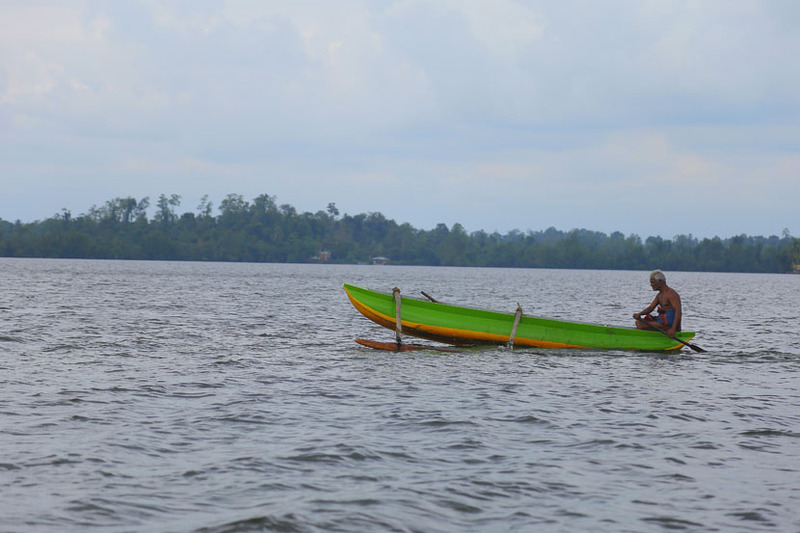 Lagoon tour on Madu Ganga, Balapitiya will be an exciting boat safari boat safari through the primitive depths of the mangrove marshes in Madu River. Madu Ganga has declared as RAMSAR wetland in 2003 due to its unique ecological, biological and aesthetic importance. The large mangroves on the river bank and you may go through a short tunnel which is made of mangroves. During your nearly 2 hours of boat ride, you may watch many aquatic birds and animals on the either bank. 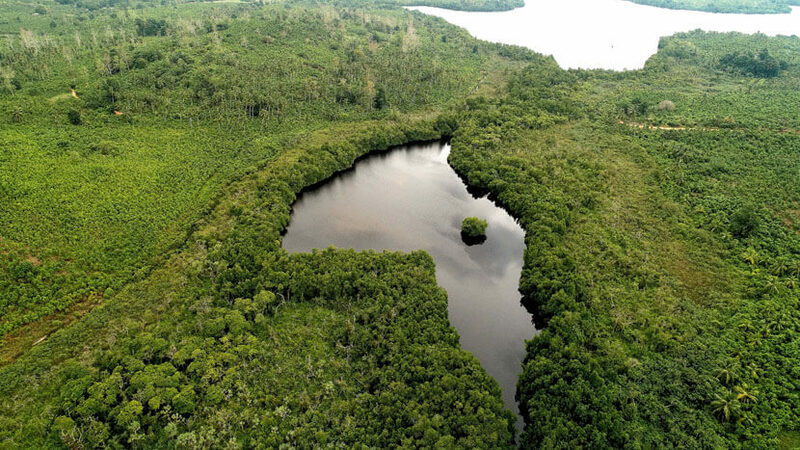 There are 64 islets around this ecosystem and most of the islets have been occupied by people. The major economic activities are fishing and the cinnamon processing. Kraal fishing or “Ja Kotu” in Sinhala is a traditional fishing practice is prominent on this lagoon. They have made using bamboo tree to catch fish and shrimps in the lagoon. Buddhist temple, the smallest islet and the fish therapy in the fish cages make you chill during this exciting ride.